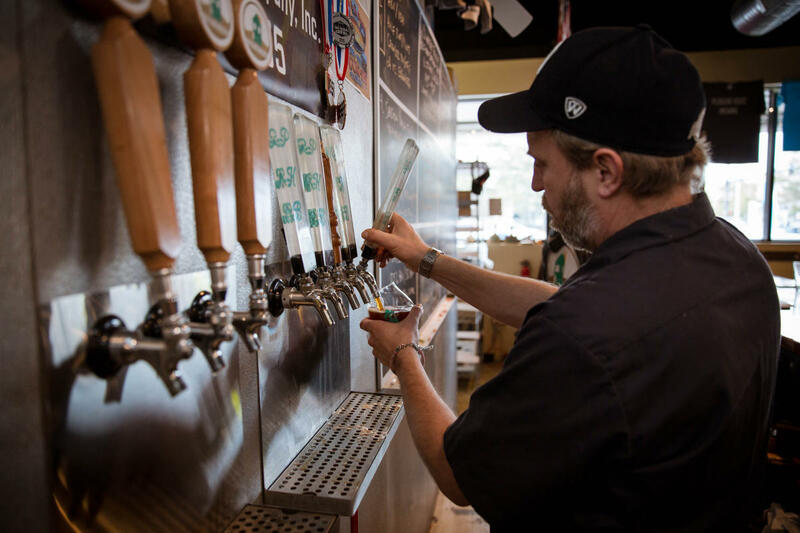 In Virginia Beach, our ever-expanding beer scene is overflowing with unique flavors that we are proud to share with everyone who visits our coastal city. 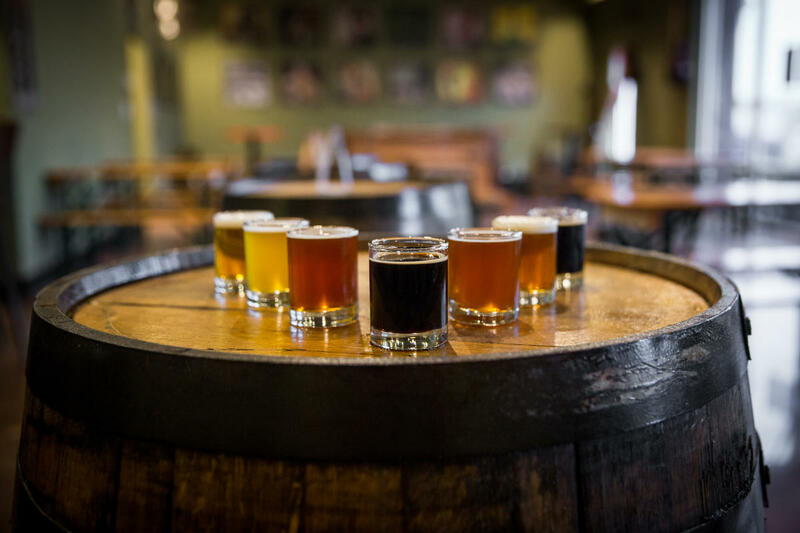 From juicy IPAs bursting with flavor to complex barrel-aged sours, there’s a beer, and a brewery, for everyone who visits. 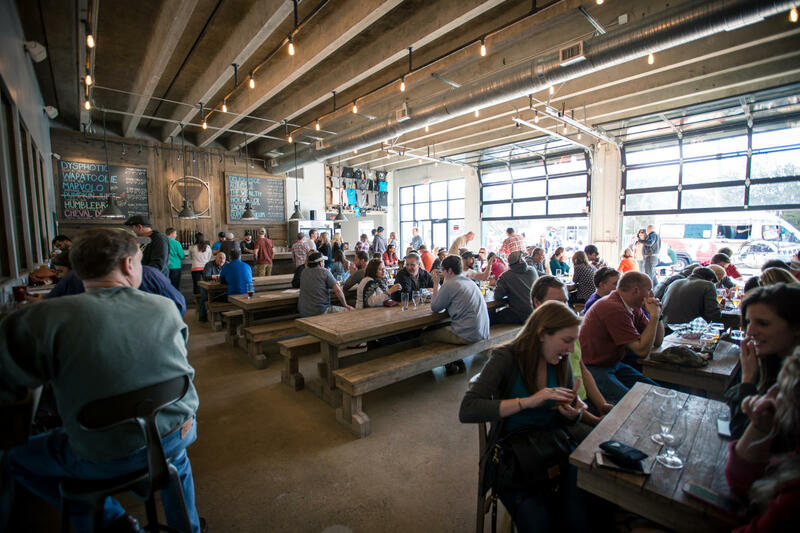 We’ve tried them all and we’re happy to share with you our Local’s Guide to Virginia Beach Breweries. Back Bay Brewing is a favorite hangout for resort area locals and is a great place to spend an afternoon sampling some small-batch brews. This cozy, laid-back brewery is brought to the next level by the rustic, industrial interior by Benevolent Design Co., a local company located nearby in the ViBe Creative District. This is the place to come to be treated like a regular and just have a good time. 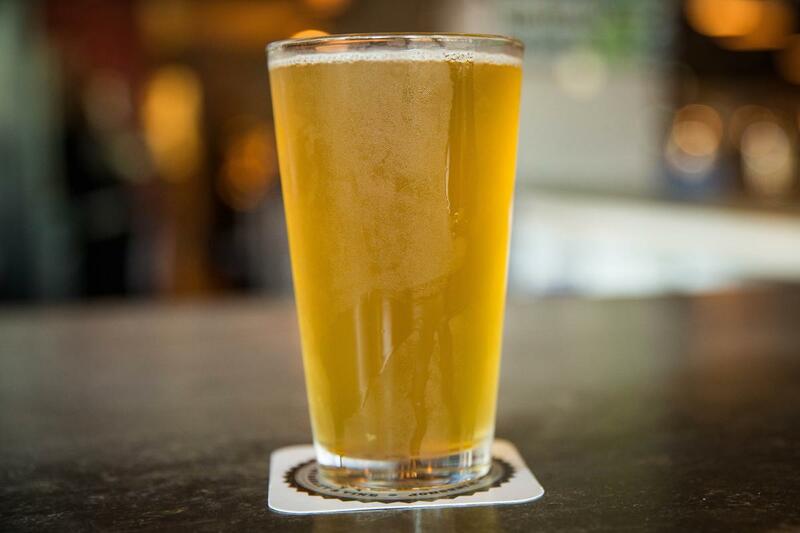 Gringo’s Taqueria, located right next door to the brewery is the perfect addition to Back Bay’s beer. Get your fish tacos and bring them to the brewery with you. Like Back Bay, Commonwealth is also a favorite local hangout, but for the Chic’s Beach crowd. Draining their taps out of an old renovated firehouse, this place is open and inviting, and offers ample outside seating, as well. Come for the food trucks, outside seating, corn hole, and friendly neighborhood atmosphere. Come back for the ever-changing selection of deliciously creative, expertly brewed beers. You’ll want to sample as many as you can here. Dogs are welcome outside at Commonwealth, and we’re all better for it. Take your pooch with you while you sample some suds. This cozy brewery is a favorite for many a regular with its neighborhood bar-like atmosphere and delicious rotating beers. 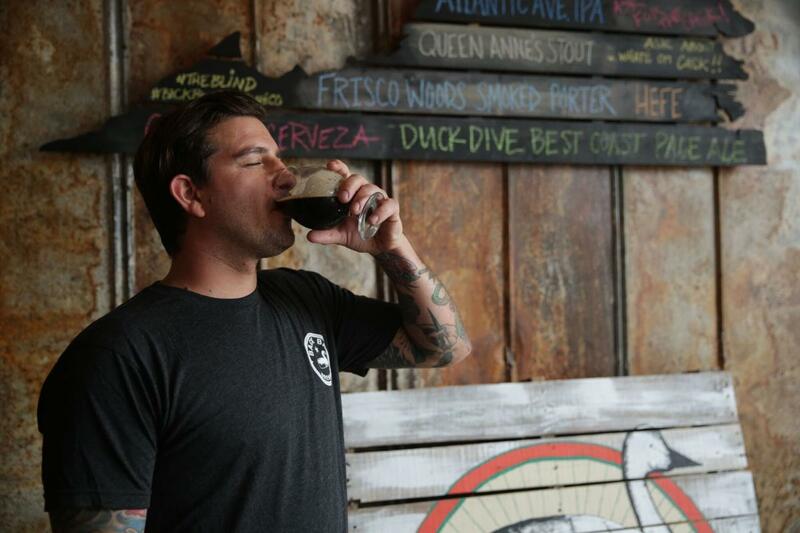 While all of their beers are worthy of a tasting, their sours deserve special recognition. This place is just all around cool. This place gets our vote for coolest flight. Cheers! Wasserhund is a German-inspired brewpub in the Hilltop area and is a great joint to get your pizza and beer fix, both of which are can’t-misses here. 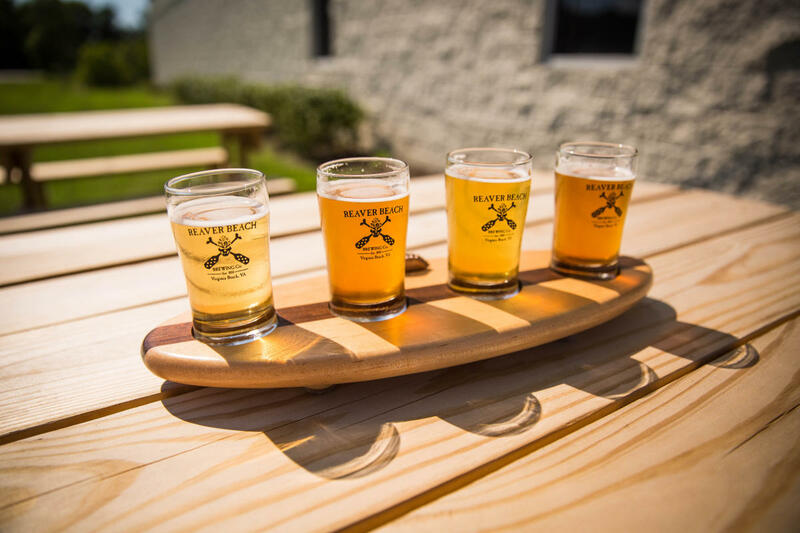 Their flights are very customizable, so taste as many of their house-brewed beers as you want. They have a great variety for fans of all kinds of beer. If you leave here without trying their Jumbo Beer Pretzel, with beer cheese or German mustard, you’re doing it wrong. 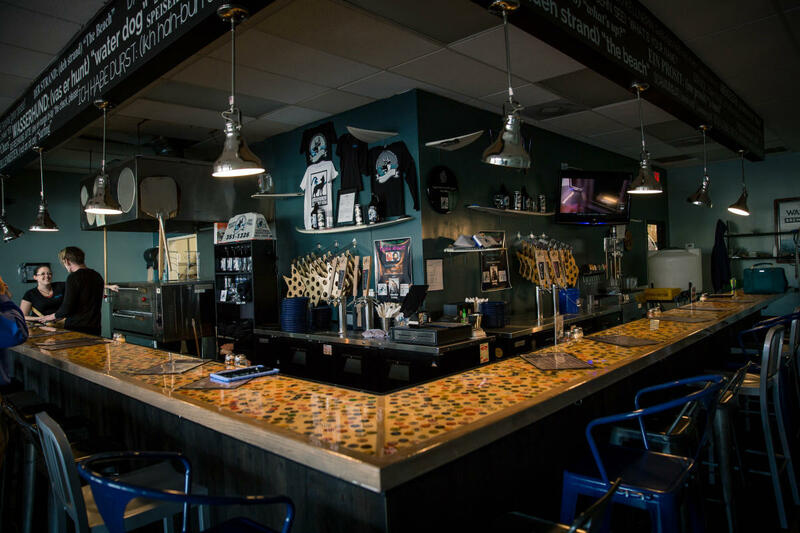 This veteran-owned, military-themed, brewery is a must visit for veterans and non-veterans alike. As if the creative and tasty brews weren’t enough reason to visit, the WWII-themed artwork for each beer, prominently displayed on the walls, makes this worth the trip in its own right. It doesn’t hurt that the staff also knows their stuff and will get you set-up with the perfect beer for your preferences every time. Pleasure House Brewing is what it would be like if you had friends who had a brewery in their house, and they made great beer. This place is unassuming, cozy, and just plain fun. Their beers are constantly changing and when they’re out, they’re out. Grab a glass, choose a game from the many they offer, and enjoy a night drinking good beer with good friends. It’s hard to choose since they are constantly brewing new beers in small batches and when they’re gone, that’s it. It is hard to go wrong here and if you like one, you may want to stock up! To take your beer home with you, try one of their crowlers, a 32-ounce mega-can of their delicious brews, canned right there in-house. Home Republic is a restaurant and brewery located in the Oceanfront Resort District and is crafting some delicious brews. The laid-back, pub-like atmosphere is exactly what you’d expect for an a resort-area brewery and the beers certainly don’t disappoint. Do not walk out of here without trying the fried mac ‘n’ cheese topped with a gouda cream.